What “some kind of asset” are we talking about? What is work­ing mem­ory, and why it mat­ters? Can we multi-task as good as we seem to assume? What should we all know about how our brains work, and why? We hope you enjoy this August eNewslet­ter, fea­tur­ing six dis­tin­guished con­trib­u­tors who answer those ques­tions, and more. Please remem­ber that you can sub­scribe to receive this free Brain Fit­ness eNewslet­ter by email. Why work­ing mem­ory mat­ters in the knowl­edge age: As Dr. Tracy Alloway points out, one way to visu­al­ize work­ing mem­ory is as the brain’s “Post-it Notes” — we make men­tal scrib­bles of bits of infor­ma­tion we need to remem­ber and work with. With­out enough work­ing mem­ory we can­not func­tion as a soci­ety or as indi­vid­u­als. Learn more by par­tic­i­pat­ing in this study launched by Dr. Alloway’s team in con­junc­tion with the British Sci­ence Festival. What should every­one learn about the brain? : Dr. Jo Ellen Rose­man and Mary Kop­pel from the Amer­i­can Asso­ci­a­tion for the Advance­ment of Sci­ence (AAAS) dis­cuss recent rec­om­men­da­tions on what all stu­dents should know. Not just the basics of brain struc­ture and func­tion, but also a good under­stand­ing of men­tal health—such as the mind/body rela­tion­ship, fac­tors that shape behav­ior, ways of cop­ing with men­tal dis­tress, and the diag­no­sis and treat­ment of men­tal disorders. Pool­ing data to accel­er­ate Alzheimer’s research: A good arti­cle in the New York Times presents the rea­sons behind grow­ing research of how to detect Alzheimer’s Dis­ease. A pilot study shows how com­put­er­ized cog­ni­tive train­ing may help reduce falls among elderly. Amazon.com rec­om­mends The Sharp­Brains Guide to Brain Fit­ness in a thought-provoking mix. Needed: fund­ing for inno­v­a­tive research on slow­ing cog­ni­tive decline via cog­ni­tive train­ing: Sharp­Brains reader and UK researcher Nick Almond shares a note debunk­ing the so-called BBC brain train­ing exper­i­ment and out­lin­ing the type of research he and col­leagues at Leeds Uni­ver­sity deem necessary. Long-term effects of neu­ro­feed­back treat­ment for ADHD: Dr. David Rabiner reviews the 6-month follow-up of a sci­en­tific study on whether neu­ro­feed­back can help kids with atten­tion deficits, find­ing that ben­e­fits indeed remained 6 months after treat­ment had ended. Given, how­ever, that only around 50% of chil­dren showed ben­e­fits, it is impor­tant to regard this tool as part of a mul­ti­modal treat­ment program. Test your atten­tional focus and multi-tasking: How often do you read a doc­u­ment while talk­ing on the phone with a client? Or think about your prob­lems at work while help­ing your child with his home­work? Human atten­tion is lim­ited, and we need to man­age it well, as shown in this teaser pre­pared by Dr. Pas­cale Mich­e­lon. Have a great Sep­tem­ber. And, should you hap­pen to be in Barcelona, Spain, on Sep­tem­ber 14th, make sure to attend Alvaro Fer­nan­dez talk there titled “How and Why Dig­i­tal Tech­nol­ogy Will Trans­form Edu­ca­tion, Train­ing and Brain Health”. Here you have the September edition of our monthly newsletter covering cognitive health and brain fitness topics. Please remember that you can subscribe to receive this Newsletter by email, using the box at the top of this page. In the current edition of The Journal on Active Aging, I discuss why we need to Retool “Use it or lose it”, and why routine, doing things inside our comfort zones, is the most common enemy of the novelty, variety and challenge our brains need. You can read the full article for free Here. The official book tour starts this week, and includes New York Public Library! You can find all the details here. If you haven’t read the book yet, you can order it via Amazon Here (print book) or Here (Kindle edition). Or ask your local bookstore or library. Education AND Lifelong Cognitive Activities Delay Memory Loss: Dr. Pascale Michelon reports how a recent follow-up to the Bronx Aging Study, where 488 initially healthy adults have been tracked over 20 years, shows that every additional cognitive “activity day” (participating in one activity for one day a week) helps delay for about two months the onset of rapid memory loss as we grow older. Need ideas for extra activities? Changing our Minds…by Reading Fiction: What about getting a novel in your hands (or writing one)? By imagining many possible worlds, argues psychologist Keith Oatley, fiction gives us the surprise which can help expand our understanding of ourselves and the social world. SharpBrains Fan Page in Facebook: What about participating in our new Fan Page at Facebook? You can not only receive latest updates but comment on your favorite articles and teasers, and discuss your own ideas and resources. Cognitive Enhancement via Pharmacology AND Neuropsychology: our co-founder Dr. Elkhonon Goldberg integrates three apparently separate worlds -cognitive enhancement via drugs, brain fitness training software, computerized neurocognitive assessments-, in a much updated new edition of his book The Executive Brain. Comparing Cognitive Training & Medication Treatment for ADHD: a recent study shows that working memory training improves working memory more than stimulant medication treatment-and benefits persist longer. Does this matter?, Does this mean training is better than medication for kids with attention deficits? Dr. David Rabiner dissects the study searching for answers. AAA to deploy DriveSharp: Peter Kissinger, CEO of the AAA Foundation, explains why the current system of driver licensing is inadequate and inconsistent, why AAA is recommending older drivers use a new cognitive training program, and why he believes insurance companies will soon start to offer brain training to their members. SharpBrains Network for Brain Fitness Innovation: in order to help leaders of the brain fitness and cognitive health community learn, connect and collaborate, SharpBrains has created a virtual LinkedIn network for clients. The network will be formally launched with a webinar on September 29th that will discuss The State of the Brain Fitness Software Market in 2009. For organizations that want to order the report, attend the webinar, and join the network, more information is available Here. Brain Quiz: Do You Have a Brain? : Dr. Pascale Michelon dares you to answer these 10 questions correctly to prove that you have a brain. Here you have SharpBrains’ 30 most popular articles, ranked by the number of people who read each article in 2008. Thirteen Expert Contributors and staff members have written these articles for you, covering a wide range of brain health and fitness topics. Please note that, since the first article already includes most of our most popular brain teasers, we have excluded teasers from the rest of the ranking. It is always good to stimulate our minds and to learn a bit about how our brains work. Here you have a selection of the 50 Brain Teasers that people have enjoyed the most. Let’s review some good lifestyle options we can follow to maintain, and improve, our vibrant brains. My favorite: don’t outsource your brain (even to us). You’re driving through suburbia one evening looking for the street where you’re supposed to have dinner at a friend’s new house. You slow down to a crawl, turn down the radio, stop talking, and stare at every sign. Why is that? Neither the radio nor talking affects your vision. Or do they? You may have heard that the brain is plastic. As you know the brain is not made of plastic! 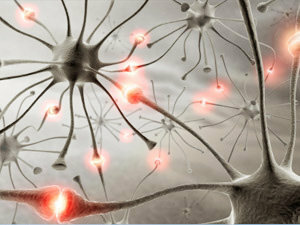 Neuroplasticity or brain plasticity refers to the brain’s ability to CHANGE throughout life. In an emerging market like brain fitness training, it is difficult to make precise projections. But, we can observe a number of trends that executives, consumers, public policy makers, and the media should watch closely in the coming years, as brain fitness and training becomes mainstream, new tools appear, and an ecosystem grows around it. Answers to 7 most common questions around brain exercise and health, to help you navigate this emerging field. If we can all agree on the importance of maintaining our cars that get us around town, what about maintaining our brains sitting behind the wheel? Unless you have been living in a cave, you have read by now multiple articles about the brain training and brain exercise craze. Now, how do you know which of the new programs can help you more, or whether you need any of them? This past Tuesday, the MIT Club of Northern California, the American Society on Aging, and SmartSilvers sponsored an event to explore the realities and myths of this growing field. Here is the summary. Global consulting company Accenture organized a series of events, and I was fortunate to lead a fun workshop on The Neuroscience of Stress and Stress Management in their San Francisco office, helping over 125 accomplished women (and a few men). With eyes closed and deep breaths, students are learning a new method to reduce anxiety, conflict, and attention disorders. But don’t call it meditation. “My brain is…fried, toast, frazzled, burnt out.” How many times have you said or heard one version or another of these statements. Most of us think we are being figurative when we utter such phrases, but research shows that the biological consequences of sustained high levels of stress may have us being more accurate than we would like to think. 13. How can I improve my short term memory? Is there a daily exercise I can do to improve it? By choosing to attend to something and focus on it, you create a personal interaction with it, which gives it personal meaning, making it easier to remember. Play is rapidly disappearing from our homes, our schools, and our neighborhoods. Decades of research has shown that play is crucial to physical, intellectual, and social-emotional development at all ages. Brain Fitness doesn’t require the use of expensive equipment. Your brain is enough. We were honored to interview Dr. Judith Beck on how cognitive techniques can be applied to develop a number of important mental skills. The latest application of these?. Losing weight. We can summarize a lot of research by saying that there are four essential pillars to maintaining a healthy brain that functions better now and lasts longer. Those pillars are: 1) Physical Exercise, 2) Mental Exercise, 3) Good Nutrition, 4) Stress Management. After many months of work, we have just released our inaugural report on the emerging Brain Fitness Software Market, the first to define the brain fitness and training software market and analyze the size and trends of its four customer segments. There are whole markets (think crosswords, herbal supplements, drugs, brain fitness software) aimed at helping us improve our memory. Now, what is ¨memory¨? and how does the process of memory work?. If you agree that our brains are designed for learning, then as educators it is incumbent upon us to be looking for ways to maximize the learning process for each of our students, as well as for ourselves. Dr. Elkhonon Goldberg is a clinical professor of neurology at New York University School of Medicine. His areas of expertise include executive functions, memory, attention deficit disorder, dementia, traumatic brain injury. Dr. Goldberg was a student and close associate of the great neuropsychologist Alexander Luria. Like in the case of physical fitness, cognitive fitness requires deliberate exercising. The main reason for this rests on the fact that our brains are basically lazy. There are in principle two very different modes of activity that our brains engage in whenever faced with a problem. Information on the PBS special program on neuroplasticity, brain fitness, aging and the brain titled “Brain Fitness Program”. Although medication treatment is effective for many individuals with ADHD, including adolescents adults, there remains an understandable need to explore and develop interventions that can complement or even substitute for medication. Dr. Martin Buschkuehl is one of the University of Michigan’s Cognitive Neuroimaging Lab researchers involved in a recent cognitive training study that received much media attention since it was published at the Proceedings of the National Academy of Sciences. 25. How Strong is the Research Support for Neurofeedback in Attention Deficits? Understanding the extent of available research can help families better understand the strengths and limitations of the existing research on neurofeedback and enable them to make a better informed decision about whether to consider this treatment option for their child. One of the most important development in neuroscience was when the official dogma claiming that there was no neurogenesis (production of new brain cells) in the adult brain was toppled. You may feel overwhelmed by the stream of seemingly contradictory suggestions regarding the best way to maintain mental clarity as you age. Based on an analysis of seminal factors in the development of modern brain anatomy, I believe it is possible to make some very compelling recommendations for growing big brains, enhancing their function, and making them resistant to the aging process. What is the connection between physical and mental exercises? Do they have additive effects on brain health? Are they redundant? Let’s start by reviewing what we know about the effects of physical exercise on the brain. The concept of having a “brain age” is, itself, profoundly unscientific. It is one thing to have that concept popularized by a game developer such as Nintendo through its popular Brain Age/ Training Series, and another one to have it reinforced by companies that are developing and marketing science-based applications. Sleep is so obvious a physiologic need (from insects to mammals, all animals sleep) that it doesn’t even occur to most of us to wonder why we have to do it.